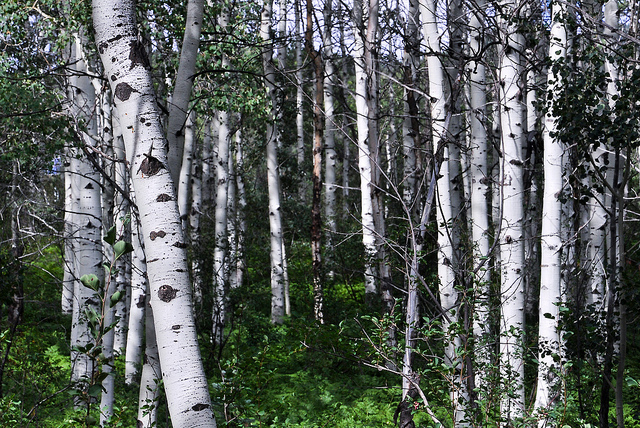 Aspens in Steamboat Springs, Colorado. Some readers may have heard by now that WBEZ is making some changes. Despite its zero-emissions profile, this blog has been decommissioned like so many fusty coal plants. I’m excited to announce, however, that you can find me on Curious City, where I’m currently investigating how much of Chicago&apos;s electricity comes from natural gas through fracking, now that the city has booted coal from its fuel mix. Expect an “answer” soon (suffice it to say, it’s not clean-cut), and stay tuned for future curiosities, too. Ask your own question here. You can follow all of my work on my website, cabentley.com, and on Twitter at @Cementley. Thanks to the whole WBEZ team, especially Robin Amer, Tricia Bobeda, Tim Akimoff, Elliott Ramos, Andrew Gill, Rick Kogan, Tony Sarabia, Jason Marck and Jerome McDonnell.